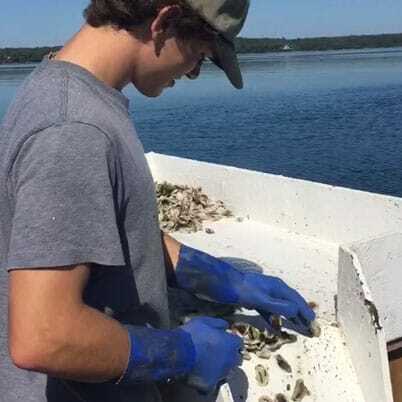 Wanting to better understand or learn more about our oyster farm expansion plan? We’re answering your questions! Click below to learn more! 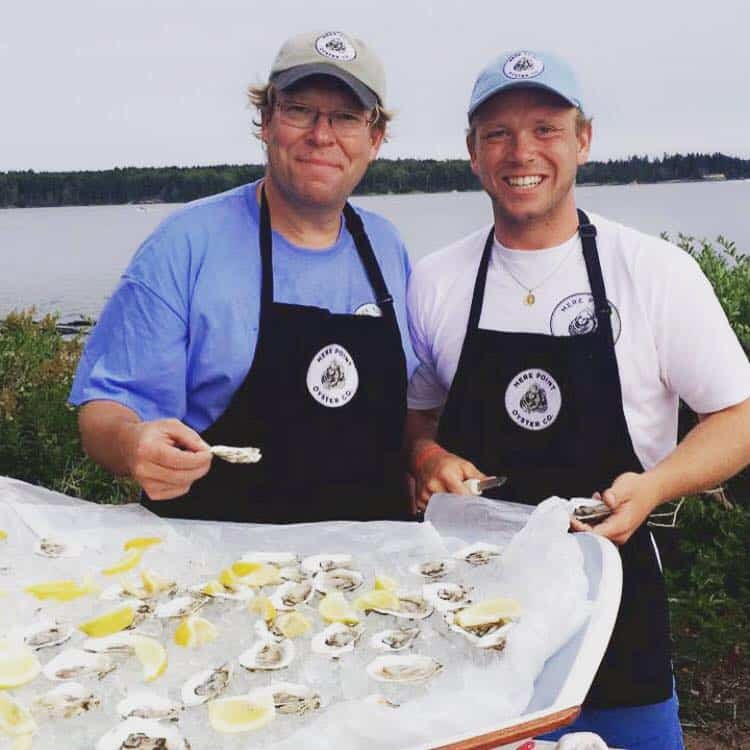 Want to support Mere Point Oyster Company and other local farmers? 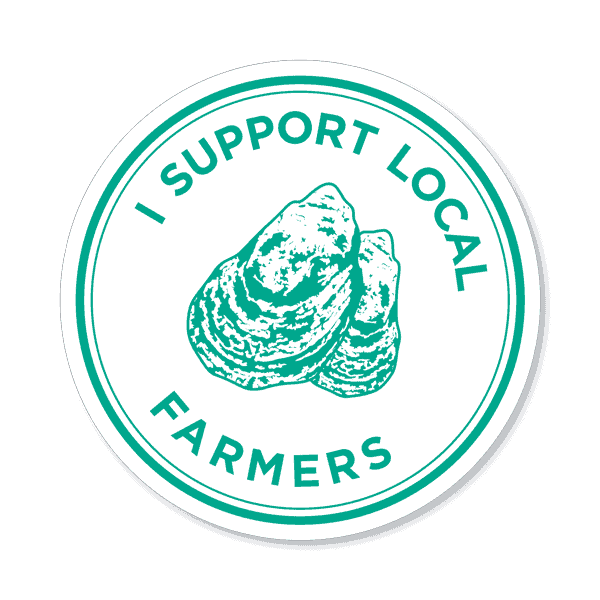 Send us an email at oysters@merepointoyster.com, and we’ll send you our “Supporting Local Farmers” sticker. Please be sure to share and spread the word on social media by tagging us @merepoint_oysters. We are a family-owned company dedicated to healthy oceans and coastal communities. 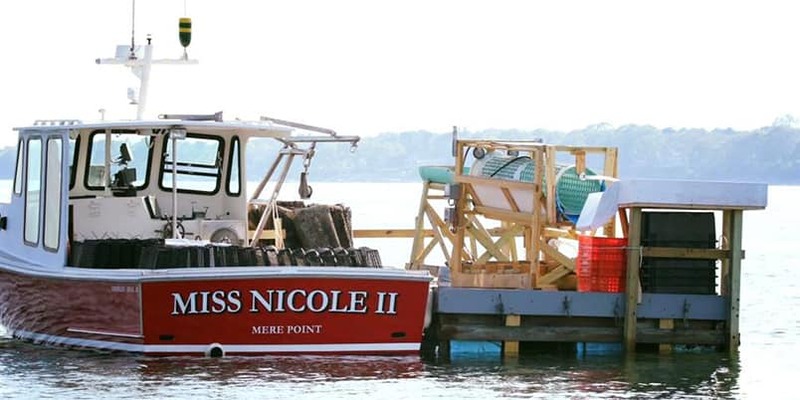 Our two families operate small oyster farms in Maquoit, Middle and Mere Point Bays right in our back yards in Brunswick, Maine. 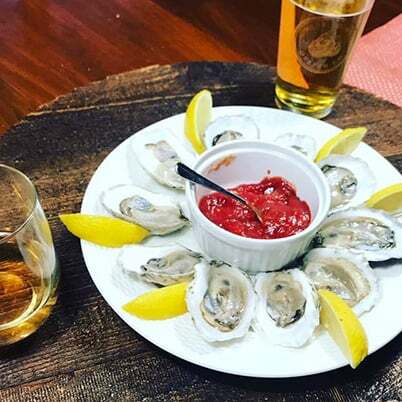 That makes Mere Point Oysters that much more special to us, you, and to our local ocean waters. Our oysters live their entire life (24-36 months) suspended in the cold waters of these bays before they are harvested. We tend, sort and separate them by hand through their life. Finally, we hand select the very best ones just for you – only 40% of our oysters earn the Mere Point Oyster Company name. So, slurp, grill, or bake them and enjoy the clean, fresh taste of your local Maine waters.